One of the things I will never forget is the sound of Miriam Makeba and Hugh Masekela singing ‘Free Nelson Mandela’ at the Mandela 70th Birthday concert at Wembley Stadium on 11 June 1988. The man was still in prison and the apartheid regime looked as strong as the Berlin Wall. A year later the Berlin Wall collapsed and the world changed. But it was another five years before Mandela’s long walk to freedom finally took him through the gates of Robben Island and, in 1994, to the Presidency of his country. When I watched his inauguration I could still hear Makeba’s voice, filled with passion and heroic determination, singing for a different world – a different future. Nelson Mandela is probably the only man in Africa who could have held his country through the painful and dangerous transition to democracy. He knew the fragility and the potential for explosive violence, but his moral authority – born out of the suffering of injustice – empowered him to hold his people, black and white, through the years of change. But, it is not just South Africa that owes Mandela a massive and unrepayable debt. He demonstrated to the whole world the possibility for justice, redemption and peaceful change. Along with giants like Desmond Tutu, he defied the nay-sayers of this world and dared to believe that power could be held without corruption, without violence and with a load of fun. He made the Rainbow Nation a reality and subverted the norms of other political leaders by serving for only one term of office and then leaving the scene as promised. 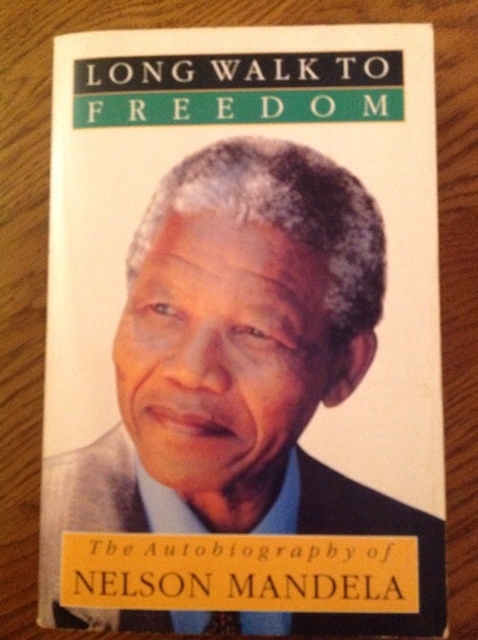 There is probably no one else alive who now carries the affection and moral authority of Nelson Mandela. In his death he not only holds a silent mirror to an often corrupt world, but still beckons the world to believe in and give its life for peace, justice and generosity. And there’s the rub. He is revered and held to acclaim by people across the globe, but often by people who wish to claim virtue by association rather than emulation. Mandela took the Dutch Reformed theology of his oppressors seriously and resolved to out-do them when it came to generosity, grace and forgiveness. On accepting the presidency of South Africa he resolved to serve only a single term – and stuck to it. He refused to open the doors (of language as well as practice) to revenge or the sort of justice that is merely self-referential or self-aggrandizing. He declined the temptations of power and adulation in order to offer the world a different model of servanthood. All this stands in stark contrast to those who position themselves to stand in his reflected glory, but without the pain, the cost, the integrity or the generosity. Robert Mugabe clings on to power at the expense not of his own blood, but of that of thousands of his people. And he is not alone. Mugabe speaks of ‘his people’ as a possession – a commodity – whereas Mandela spoke of ‘his people’ as a gift to be treasured and a people to be served. The contrast is clear to almost everyone. Since his death millions of words have been spoken and written about him. The Twittersphere is alive with quotations from his writings, speeches and interviews. His death is one of those unique moments when just about every human being alive at this moment is caught up with the impact of this particular passing. But, my question is a hard one: how serious are we who quote him and revere him about emulating him and taking his example seriously? Forgiveness is easy to admire in someone else, but very hard to give when it is I who pays the price. Clearly, it is easier to admire him than it is to live like him – justice with mercy, hope with realism, generosity with responsibility. He liberated his oppressors by forgiving them – if we really take him seriously, then we must also ask how we can liberate our 'oppressors' or opponents? Not to face these hard personal and social questions is to recognize that we are merely indulging in sentiment about a man whose legend has outstripped his real challenge to a bleeding world. Mandela never claimed to be a saint – he just kept trying his best … with a humility that was shocking and moving in equal measure. Are those who revere him ready today resolutely to make a difference in the small things of their own life in their own place? As the great man once said, “We must use time wisely and forever realise that the time is always ripe to do right.” Tomorrow is simply another today. The challenge does not go away and we cannot – if we utter words of admiration today – duck the opportunity today to do right. Much more could be said about Nelson Mandela – and, no doubt, much more will be said. Yet, most of us will realize also that words are really inadequate to celebrate such a man. Perhaps silent reflection (and a re-reading of his books and speeches) would be a more adequate response to his demise. I thank God for him – the God in whom Mandela trusted and whose self-giving in Jesus Christ so fired his imagination. Theology did not dwell in some ‘spiritual’ compartment of his intellect, but shaped his soul, inspired his vision and strengthened his will. His political vision did not appear from a vacuum, but was forged by the shaping (through experience, study, intellectual rigour and attention to spirituality) of a worldview that looks frighteningly like that of the Old Testament prophets and reflects the face of the Carpenter from Nazareth. At Wembley in 1988 Sting sang ‘They dance alone’. Mandela didn’t. And he showed us that we dance better together than in fearful isolation. May he rest in peace. I enjoyed Marina Hyde’s piece about how Mandela would laugh when celebs who hadn’t a clue what he stood for fawned on him (saying that meeting the Spice Girls was the best day of his life), the more since I’d got very steamed up at our PM’s sanctimonious words and written an angry letter to the Guardian … that they didn’t publish (they published a better and shorter one that came from the same kind of anger). Nice one, Nick, Good comment. As far as your other comment about vanity writing and broadcasting is concerned, don’t worry about this. We all do it when we can and as long as you’ve got the time carry on doing it. Stay calm and keep going; there’ll come a time when it’ll be too late!!! God bless. FRANCIS WOOD.